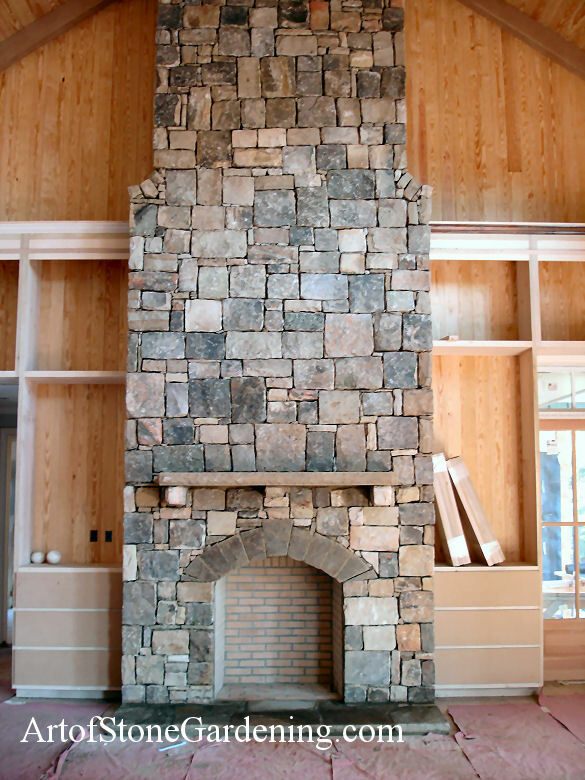 The owner of this new home wanted a dramatic fireplace. 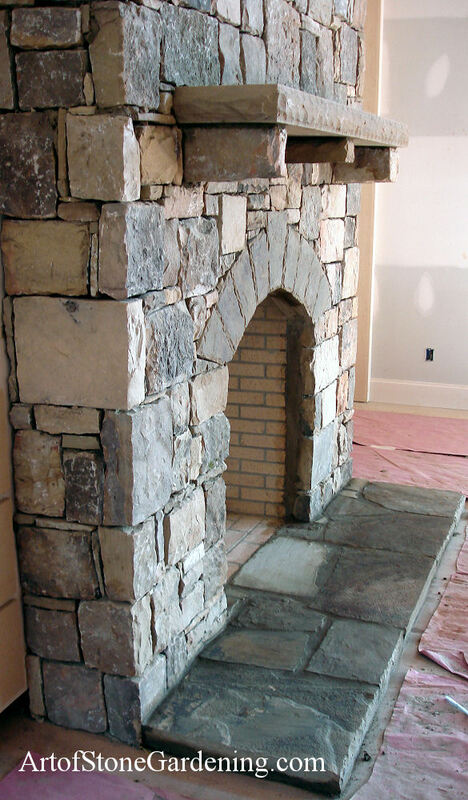 This is a natural Ashlar stone fireplace. Each stone is hand cut in a rectangular shape to fit into place. It features an arched opening with a thick stone slab mantle.